MIG welding is one of the most useful welding techniques for stainless steel welds, lighter steel welds, and aluminum. The techniques used differ slightly depending on the type of metal being welded. To ensure the right outcome when using MIG welding, it is important to check all equipment before beginning and choose the proper settings for your work. This is to protect against both workplace injury and a poor weld. Tulsa Welding School shares 5 MIG welding tips in the infographic below, two of which are discussed at length here. Reminder: Adjustment of gas flow is important. For stainless steel, the gas flow should be a balanced mixture of one-third part of each helium, CO2, and argon gas. 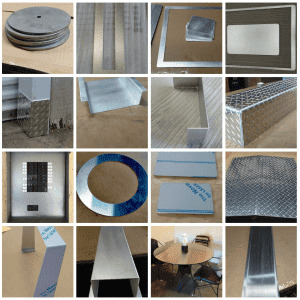 For aluminum welds, you will want to use 100% argon gas. For lighter steels, the correct mixture is 75% argon with 25% CO2. As more CO2 is added to the mixture, the weld penetrates deeper. This may be unwanted when trying to weld thinner metals together, so be careful to make sure the gas mixture matches the metal you are trying to weld. Reminder: Each type of metal requires a specific gun technique to make the weld successful. Depending on what you want as the result, you may want to push or pull the weld gun. 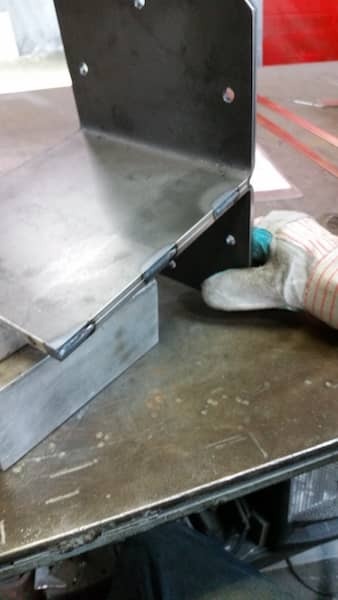 Pulling, or dragging, the welding gun away from the deposited metal will typically lead to deeper penetration and a narrower bead with more buildup. This technique is best for stick and flux cored welding. For lower penetration and a wider, flatter bead, push the gun away from (ahead of) the weld puddle. This technique may be better for MIG welding mild steel. MIG welding is one of the most versatile and accessible methods of welding—yet it is vital to keep certain guidelines in mind to achieve the best weld possible and avoid injury. Each technique of MIG welding is useful depending on what one wishes to accomplish.